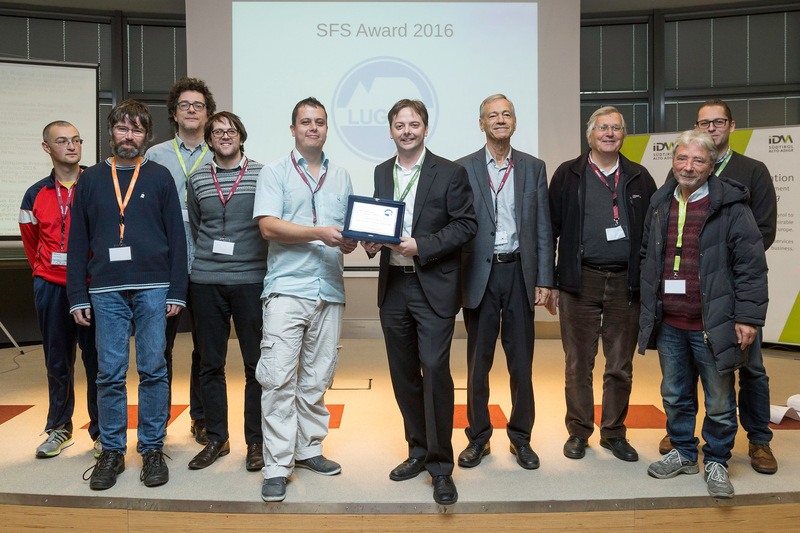 This year SFS award goes to someone who has dedicated many, many years of their life to the adoption of Free Software in South Tyrol. While not only dedicating many years of their life, the winner has done this with a fierce passion and relentless dedication, that is rarely seen, and with a passion that can only be admired. He also had a nickname back in the day, and was affectionately known as “Pazzo”. The CoCos project was the first along a long road of many projects that were to follow. Projects involved with the University of Bolzano to much larger EU projects have been positively influenced by his drive, to spread Free Software. Karsten Gerloff of the Free Software Foundation Europe, had the following to say about him:”His contribution to Free Software and the FSFE has been very important. He recognized earlier than most others the power of Free Software to help people, companies and entire regions to grow and thrive. The winner this year is someone I also consider a mentor and good friend. Almost ten years ago he introduced me to the Free Software Community in South Tyrol, where I have made a lot of friends and have never looked back. As all of you know, this award is presented by the LUGBZ. As a general rule, the award cannot go to someone who is on the board of directors. This year’s winner should have been presented with the award years ago, but it was very difficult getting him to resign from the board of directors, until this year!